These days, it’s hard to talk about Overwatch without mentioning its ongoing struggles with sexism, racism, griefing, match throwing, and worse. At BlizzCon, game director Jeff Kaplan told Kotaku that fighting toxicity is now more of a priority than ever, to the point that Blizzard has formed a “strike team” to do so. In recent months, the Overwatch team has taken flack for perceived foot-dragging in its efforts to stop players from treating each other like garbage. Not only did common-sense features like detailed report categories, notifications when Blizzard’s taken action against somebody you’ve reported, and reporting on consoles take multiple months too many to make it into the game, but Kaplan recently put out a strangely defensive video in which he explained that playing whack-a-mole with the game’s more toxic elements takes away from time the team could be spending on new content and features. Despite all that, Kaplan told me that turning the tide in the fight against toxicity is just as important as adding new characters and levels to the popular team shooter. 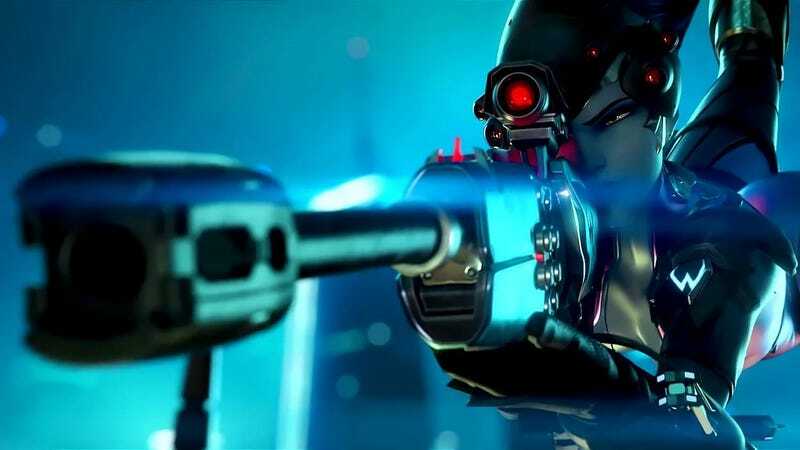 Blizzard has created an anti-toxicity “strike team” made up of game designers, support staff, analytics people, and a special group called “Risk” that fights cheating and hacking, Kaplan said. The team is currently devising a series of short, medium, and long-term plans to make Overwatch’s community better. While Kaplan said he could not go into too much detail on what exactly the team is doing for fear that this would give griefers more information to game the system more effectively, he offered a couple examples. In light of criticisms that reported players get off easy, often facing only chat silences and brief suspensions before returning to play, Kaplan said the plan is to err on the side of stricter moderation going forward. He also pointed to a notification system that’ll tell players when somebody they’ve reported has been hit with some kind of action. Currently, Kaplan said, between 20 and 30,000 test players receive notifications via email, but it won’t be long before notifications start showing up for all players in-game (as opposed to via email). The goal, he explained, is to make it clear that reporting does something and, to the reported, that their actions have tangible consequences. In the longer term, the strike team is also looking at machine learning as a possible complement to other elements of its anti-toxicity apparatus. At the moment, Blizzard is trying it out in the chats of both Overwatch and Heroes of the Storm, using it to determine words and phrases frequently associated with toxicity. Kaplan says similarly toxic sentiments are aired in both games’ chats. It remains disheartening, however, that things ever managed to get this bad in the first place. Kaplan said that he wished the team had put more of a focus on heading these issues off at the pass early on, but stressed that he did not feel the team was simply being lackadaisical or negligent when it failed to implement features like console reporting functionality in Overwatch’s early days. “It’s kind of like ‘The road to hell is paved with best intentions,’ he said. Console reporting was a big point of discussion early on, he said, but the team decided against it because, at the time, it would have required all console Overwatch players to also create Battle.net accounts, a small but annoying barrier to entry. But, I noted, that simply meant that the Overwatch team had dodged a bullet, only to get hit by a truck later on. “That’s where we’re at now,” Kaplan replied with a sigh. Best intentions, indeed. Kaplan feels like the team is on the right track now, though, and he wants people to know that this is not a problem they’re tackling reluctantly.